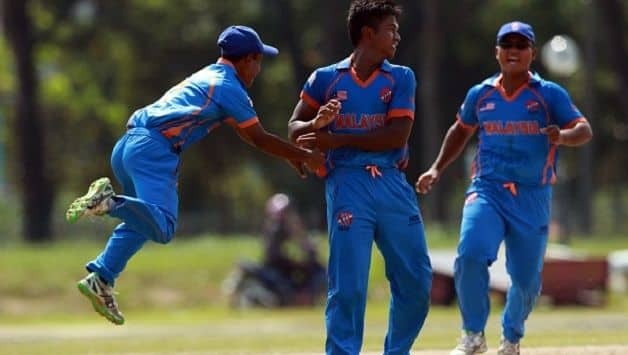 Hosts Malaysia pulled off the first upset of the 2018 Asia Cup Qualifiers, thrashing Hong Kong by three wickets at Kinrara Academy Oval, Kuala Lumpur. Hong Kong were shot out for 161 in 46.4 overs after asked to bat. They had got off to a flying start despite losing Cameron McAuslan in the third over. In fact, the score read 59 for 1 after nine overs with both captain Anshuman Rath and Babar Hayat looking solid at the crease. Then left-arm spinner Pavandeep Singh took out Rath and Nizakat Khan off consecutive balls. Babar was fifth to fall, for a run-a-ball 58 (6 fours, 3 sixes), but there was little support from the rest. Only wicketkeeper Scott McKechnie put up some resistance, with 26 from No. 9. Pavandeep (10-3-13-3) led the bowling honours. He was supported by off-spinner Suharril Fatri (10-2-24-3). Hong Kong fought back, reducing Malaysia to 18 for 2 before the stipulated lunch. Wicketkeeper Shafiq Sharif then rose to the challenge with a counterattacking 63-ball 49, but after he fell Malaysia lost wickets to left-arm spinner Nadeem Ahmed. 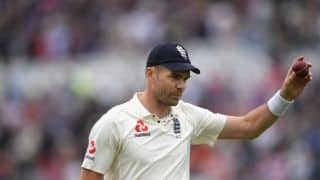 At one stage they needed 44 with four wickets in hand. With asking rate never being an issue, Syed Aziz and Sharvin Muniandy dug in. And once Aziz was run out, with nine more to be scored, Syrazul Idrus came out and hit two fours to settle the issue. Hong Kong 161 in 46.4 overs (Babar Hayat 58; Syrazul Idrus 3 for 37, Pavandeep Singh 3 for 13, Suharril Fetri 3 for 24) lost to Malaysia 162 for 7 in 42.5 overs (Shafiq Sharif 49; Nadeem Ahmed 4 for 25) by 3 wickets with 43 balls.